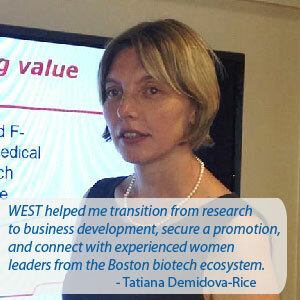 Launched in 2000, Boston-based WEST provides a powerful forum and supportive environment for early and mid-career women in the fields of science and technology. 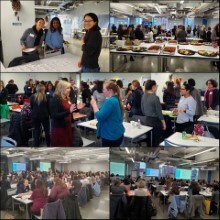 We provide our members and our broader community with a comprehensive portfolio of workshops and panels that include advice regarding career advancement, alternate career options, leadership skill building, and exposure to entrepreneurship. 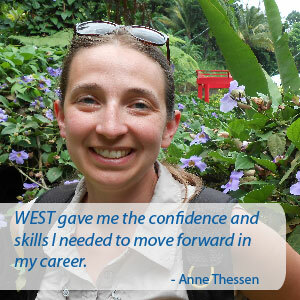 WEST programs are designed to enhance skills, develop professional networks, provide inspiration, and empower women to achieve their full potential. 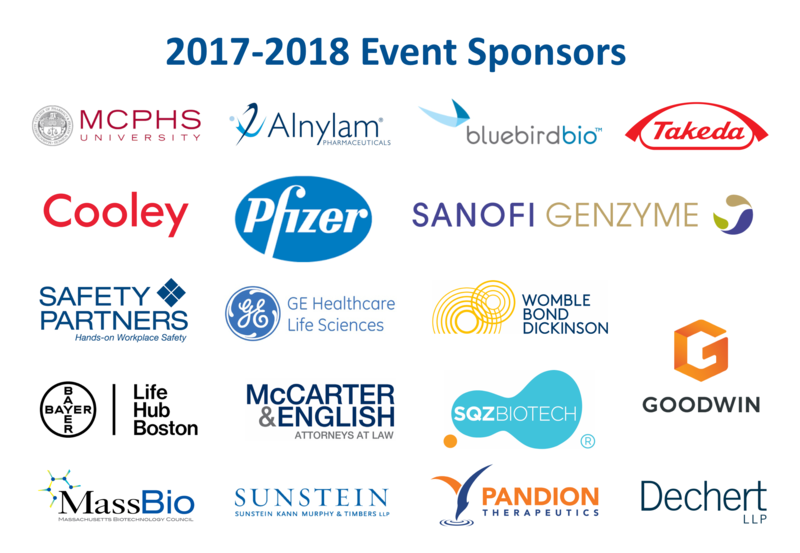 Our members and event participants work in biotech, pharma, engineering and high tech companies and as well as in organizations that support and collaborate with these industries such as academic organizations, professional service firms, financial institutions, and non-profit groups. 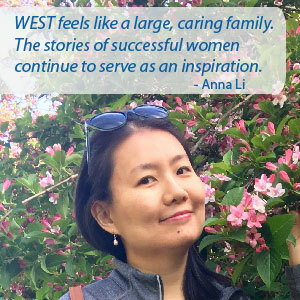 WEST is an established influencer in the Cambridge and greater Boston ecosystem as evidenced by our member base, our sponsors and our dedicated Board. 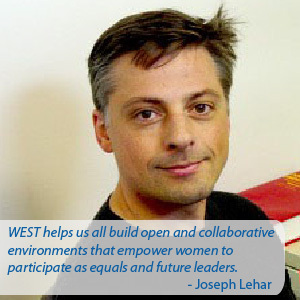 WEST welcomes men as members, attendees and/or speakers at programs and events. 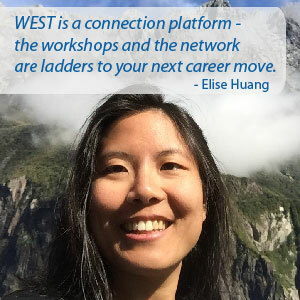 As WEST continues to thrive, providing ever-increasing value in today’s highly connected world, we hope you will consider becoming part of our community. 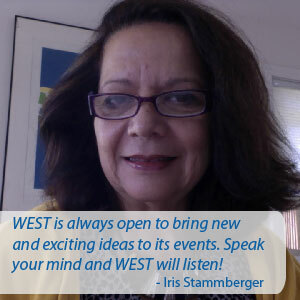 Please join us today. 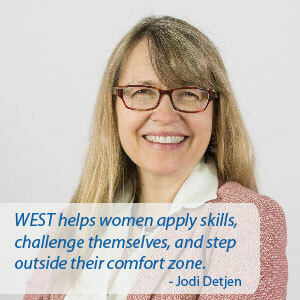 Although WEST’s mission is that of a learning community to advance women leaders in the enterprise of science and technology, we welcome the participation of anyone who would find value from our learning community. 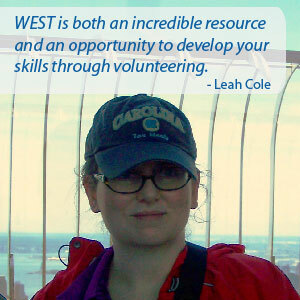 We recognize and value the role a diverse and inclusive membership has in the development of leadership skills among our members. 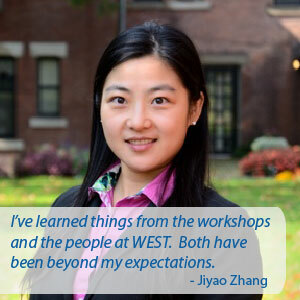 Differences in gender, age, race, ethnic heritage, religion, appearance, sexual orientation, or any number of other distinguishing factors provide experiences, viewpoints, and ideas that can strengthen and enrich our discussion.